Industry breadth can be a blessing or a curse. Industries are inherently difficult to qualify because of volatility, interpretation, and overlap, not to mention the seniority and exposure of any client, their background and go-forward intentions. The following list offers a sense of where I spend a majority of my time. JARED REDICK TRAINS PHD CANDIDATES ON IDENTIFYING AND POSITIONING THEIR SKILL SETS BEYOND ACADEMIA. Used by recent grads to Fortune 500 executives since 2009. Endorsed by leaders at the University of California. 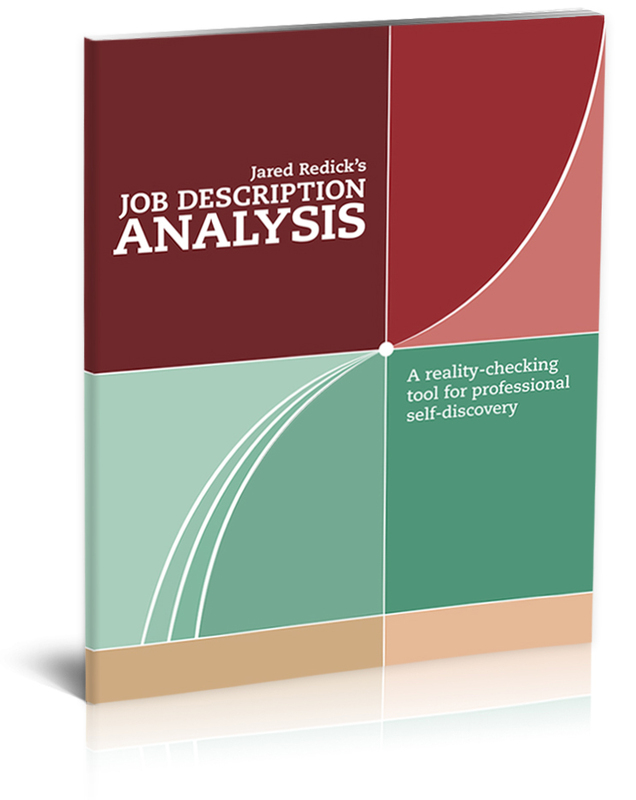 Jared Redick's do-it-yourself Job Description Analysis helps people evaluate and set realistic next steps using their own collection of ordinary job descriptions—mapping the intersection between where they've been and where they want to go. It's not a career test. It won't tell you the color of your parachute. It will give you a dose of what's possible. LinkedIn's Experience Section Has a New Look! Multiple Job Titles at the Same Company!